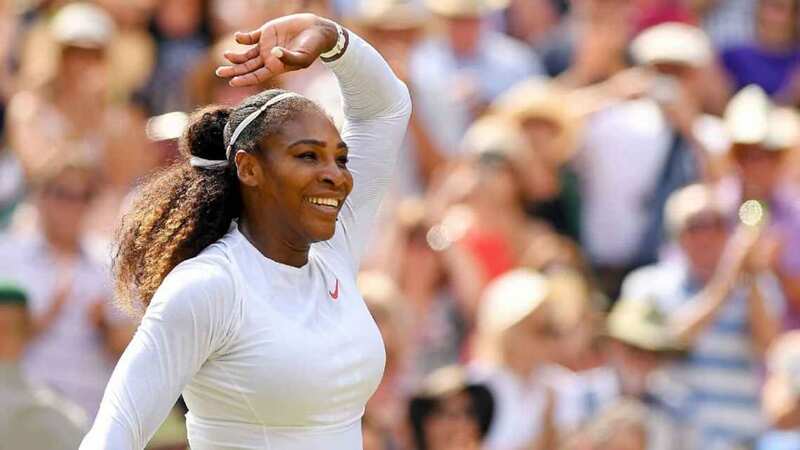 In this world, there are amazing women, and there are capital W, greatest athlete in the world, inspirational mothers who manage to make it to the Wimbledon finals ten months after battling for her life in childbirth kind of Women. Just like that time her husband put up a billboard about it, we’re here to let everyone know that from her first Grand Slam title until the end of the human era, Serena Williams is and will always be the Greatest Of All Time. And, without a doubt, a great woman for HoC to be crushing on. This past weekend, Serena powered her way to the Wimbledon singles finals for the TENTH time. Number one, that’s an insane feat in and of itself. Number two, she achieved this only months after having her first child; after which, she suffered a pulmonary embolism and was left bedridden for six weeks. Following this and throughout her return to the sport, she has remained open about the challenges of being a working (serving) mother, her health complications, and being a female athlete. Her ascent to Wimbledon 2018 has been a hard fought fight. From getting back into the (forehand) swing of things with her sister at The Fed Cup in February, to having to withdraw from the French Open in May due to injury, her return success has been an impressive uphill climb. But it as she took to the grass courts in London, Serena was in impressive form. Her progression to the finals was like watching a master at work, but a master with the humility and strength of a mother and a 39-time grand slam champion. Then, in a post-match press conference, she just kept pouring out the words of inspiration and wisdom. And if Serena says we can do it, we believe it. PreviousPrevious post:Our Kate Spade StoryNextNext post:Live Your Truth. Be More Daring.